The BEST Gardening Method for Maximum Results! A typical Mittleider Garden (courtesy of Food for Everyone.org) Notice the wide aisles which cut down on pests without cutting down on production. While there are many mistakes I’m willing to make for the purpose of growing and learning, providing sufficient food and nutrition is not one of the methods I feel that I have the luxury of messing up. While it may sound crazy that I, “The Preparedness Pro” had never gardened in my life up until a few summers ago, it’s true nonetheless. My purpose for doing so was to make sure that I COULD grow a garden properly in the event that I needed to. 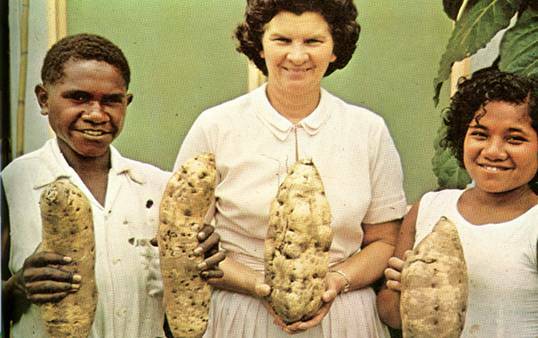 Well, I don‘t know about you, but I’ve seen enough instances of “them” mucking about with my food that I’m convinced the time has arrived that I NEED to grow my own FOOD. If I’m to the point where I MUST grow my own food—if I expect any quality nutrition, lovely flavors, and healthy substance—then I know enough about gardening to at least know that I don’t want to spend a whole bunch of work only to fail miserably. In the past I haven’t succeeded much even with mere house plants. I also know that I have a limited budget, a very limited amount of time, and even more limited in my physical energy as well. So I really wasn’t looking forward to all of that hassle only to fail miserably or to have very little sparse, sad, anemic produce to show for it. So, like just about everything that I intend to rely upon for my future well-being I decided to do some research…oh, who am I fooling? I did a LOT of research with the desire to find THE gardening method that was going to provide me with the most production, most nutrition, for the least amount of cost, and of course, effort. Is there such a reality? I’m so happy to tell you that yes, there most certainly is and it’s even better than I had hoped for. This is a BIG deal to me nowadays, as I'm sure it is for many of you. I can't trust the food manufacturers to disclose the garbage in their food or the USDA to be on the same page as me as to what's NOT acceptable food material, and I can't keep paying the sky-high prices for quality food either. I'm definitely to that point now where I don't trust any food that's not as simple as that first day in the Garden of Eden. Furthermore, I truly feel that there's a famine barreling down on us and I don't know how much more time I have in which quality food is available to me. So this year I decided to get more serious about the logistics of the gardening method I've been using, and thanks to a GREAT 5 hour training session, excellent reading materials, and the past two summers gardening experience I finally feel up to the task to competently share with you the news of THE BEST Gardening Method in the world. Now before I go on, allow me to just get over the UNpleasantries—unpleasant because as soon as I make a statement that I’ve discovered THE best method of for gardening EVER, there will be many who will respond as if I’ve insulted their religion. If you’re one of such persons…come on! I’m not trying to hurt your feelings or make anyone feel foolish. I’m trying to be consistent in providing you with quality information that you can rely upon even to the extent of taking care of yourself and your loved ones. For those of you who would LIKE to spend as little time in the garden as possible with a minimal amount of upfront costs, minimal amount of space, 70% less water than traditional soil methods, fewer bugs and weeds to fret about, and a work load that is fitting for “the most lazy prepper you’ll ever meet”, then I’m happy to say, I’ve found it. And if it can work for this gardening nincompoop, it can certainly work for you without exception. I don’t care what kind of soil you have; what kind of seeds you have or what kind of experience you have with gardening. If you follow the clear instructions on this particular gardening method, you will not fail. In fact, you’ll create blue ribbon quality produce that will rival even the Master Gardeners of the world. Yes, you read that correctly. I mean no disrespect to those amazing Master Gardeners, but this method can teach even the most successful of gardeners a thing or two. As a person who plans to be prepared with supplies in 7 year blocks of time, I was thrilled to recognize that THIS gardening method will actually enable me to stock up sufficiently on all of the supplies which I need to properly nurture my garden for less than $100 for the next 7 years! You sure can’t say that about hydroponics which runs in the $1,000,000 range per acre in expenses. I don’t care if your chosen method today is the Lasagna Gardening, Square Foot Gardening, Organic Gardening, Commercial Gardening, Back to Eden Gardening, hydroponics, aquaponics, Three Sisters Gardening or some new-fangled biometric method—you will NOT get the same yield, per square foot, for less cost, effort, water, or nutrition as you will with the Mittleider Gardening Method. Oh, and I should mention that the yield you get with the Mittleider Gardening Method will enable your crops to grow faster--84 day corn in 62 days is not uncommon--so, depending on what the crop is, you may very well be able to grow from the same spot 2 or even 3 times each season! The Mittleider Gardening Method is good for the soil too--remember, if it's not in the soil, it's not in your food and we're all lacking in those vital nutrients today as a result. This method doesn’t strip the soil or exhaust it like so many others do. Farmland rotation is a thing of the past with the Mittleider Gardening method because it will, in fact, work with ANY growth material. (In fact, poor Jacob Mittleider was commonly given such challenges as he traveled all over the world; though leaders might have been enthusiastic about the prospects, they constantly gave him some of the worst areas in which he was to “prove himself”--only to end up amazing hardened world leaders as they witnessed the undeniable success of his method. 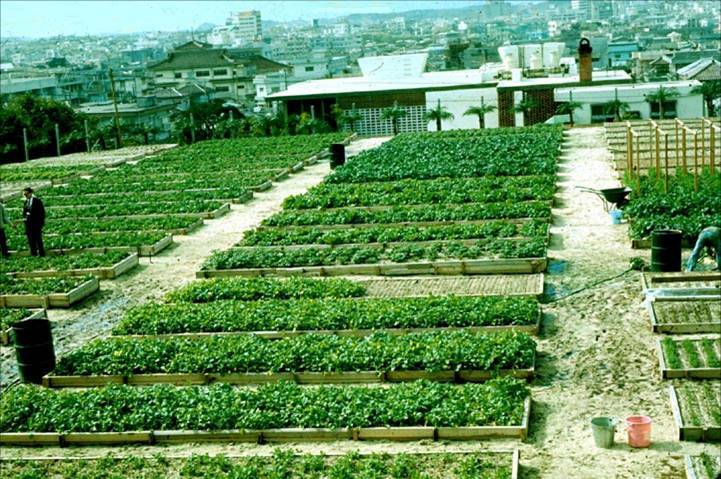 One time, in Okinawa, land was so sparse, he was given a concrete parking lot to work with and he turned it into a gorgeous food-generating location for the community! Prior to Jacob Mittleider's passing, he chose a good friend and Mittleider Gardening protege, James Kinnard, to carry on his passion. Jim, a wonderful, generous man, continues traveling all over the nation and the world today, and has done so for the past 30 years, with a passion equal to Jacob's and a mission to educate and show anyone who will listen that they really CAN rely upon their own skills to provide AMAZING, life-changing food for themselves. I was introduced to the Mittleider Method my first year of gardening. In fact, it was BECAUSE of the Mittleider Gardening Method that I didn't give up on my gardening efforts. *grin* I had already begun my plans with the square foot gardening but was able to adapt some of the Mittleider Method. As a complete novice I was able to out produce in my small space what my neighbors were producing in much larger plots. Those who have complied with every step-by-step instruction provided by Jim Kinnard, will see production worth bragging about. In fact, there are some of you who have joined hundreds of thousands who have witnessed Jim’s handiwork as he was responsible for the beautiful, lush garden at the Salt Lake City Hogel Zoo for 20 years—and he did so without any herbicides or pesticides--and in spite of a very busy social schedule as he sang with the Mormon Tabernacle Choir all over the world. As I’ve been accumulating heirloom, (non-hybrid), organic, non-gmo seeds for the past 15 years, I’ve done so based not only on what I and my husband would enjoy eating but also from the viewpoint of what would bring in top dollar at the Farmer’s Markets. The self-employed person in me knows that the rare, high-quality plants grown successfully with the Mittleider Method have the capability of supporting families for the entire year! The Mittleider Method even makes growing produce that’s not necessarily “the norm” for a particular area. If you’re like me and planning on having an massive indoor, underground garden someday, the Mittleider method will prove to be quite valueable in that regard as well as it uses significantly less water than any other method and the preferred growing material is a loose combination of sawdust (non-chemical, that can be obtained for FREE at your local mills or carpentry shops; 75%) and sand (25%)! There have been some that I’ve mentioned the Mittleider Method to in the past who have responded with some nonsense about how it strips the soil of its nutrients or that it’s not all natural. This couldn’t be any further from the truth because in fact, it FEEDS the soil in an effort to feed the plants, and the secret ingredient is the earth’s natural minerals. Overtime our soil has become depleted in these minerals as they’ve washed off and ended up in the ocean. The special suggested Mittleider Weekly Feed consists of those minerals that are harvested from the ocean—you know, the ones that USED to be in our soil—and returns them back to where they originally came, leaving the soil in better condition than when one began. In the Organic gardening standards, as dictated by the USDA, fertilizer cannot be applied within 8 weeks of a plant’s anticipated harvest. What that means is that when a plant is at its largest, most mature state, it has to be STARVED of nutrients. That never made sense to me. Then again, the USDA’s compromised standards of “organic” has never made sense to me either, but that’s another story. There are NO pesticides or chemicals necessary to use the Mittleider Gardening Method. Another thing that almost had me a bit anxious before I discovered the Mittleider Method was how was I going to ensure that I could grow healthy, nourished plants for the next 7 years. (I believe in preparing for Seven Years, as opposed to just 72 hours or a year, in light of all of the scriptural experiences of famines, plagues, and wars.) Not even in my wildest dreams could I fathom having a 7 year’s supply of manure! And besides, I recently discovered that even the LDS Church, which is famous for their amazing orchards, has newly decreed that compost will no longer be used on ANY of their farms/orchards as a result of the disease in the compost that’s become so commonplace nowadays. (If the animal is diseased, the compost will be too, obviously.) I was so tickled when I discovered that I really can have a 7 year supply of vital nutrients for my plants in the Mittleider Method. I don’t know about you but that gives me a great deal of peace of mind. 3: Less weeds and insects to “bug” you. 10: Absolutely NO pesticides or chemicals. 11: Nutrition delivered to the soil in a form that will actually be absorbed by the plant, making your produce taste better AND delivers better nutrients to the body. 12: Unrivaled history of successful growing all over the world. 13: Dramatically increase your germination rate! 14: The ability to not only feed your family, but SUPPORT your family too! If you want to get started with your own amazing Mittleider Garden, go and check out Jim’s non-profit organization, Food for Everyone. I’d suggest that you at least get the Mittleider Gardening Book and a pack of the micronutrients (which have a shelf-life longer than the earth will live). (Don't worry. You're not paying for shipping on a barrel full of stuff. You'll simply add the micronutrients to 16/16/16 and some epsom salts that you can get locally easily enough.) And then…get busy and enjoy the peace and excitement that this year’s garden will provide you. *grin* I could go on and on about how excited I am to pass this information on to you. I'll be writing some follow-up articles, but I'll just leave you with this...you can go from a Gardening Zero to a Gardening Hero in only a few weeks! Mittleider Gardening Micronutrients--only $15 with an unlimited shelf-life. Thank you Kellene. I just planted my SFG yesterday. I'll have to review this for next year. Please don't throw in the towel, Mikey. As I shared in the article I had already started one method when I got all of my info about the Mittleider gardening info, but was still able to apply great fundamentals. Review it NOW and you can apply most of the principles THIS year and still benefit quite well! You'll love it, I am certain. Don't wait till next year! 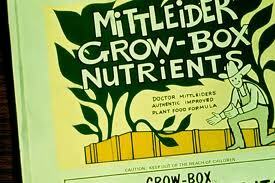 Just begin feeding your plants the Mittleider natural mineral nutrients. You WILL be amazed at the difference (try half WITH and half WITHOUT for a very graphic testimonial). no more than you already get with fresh produce, Donna. I promise you, you'll be just fine. 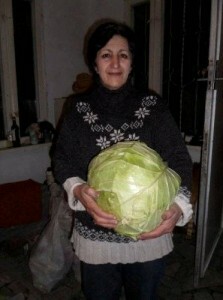 Most organic growers do POUNDS per garden, whereas this method calls for something like half an ounce. Lucky for you there is no sodium in Epsom Salts. THIS "salt" is MgSO4.7H2O, which translates to 1 part magnesium, 1 part sulfur, 4 parts oxygen, and then 7 parts WATER. It's actually called magnesium sulfate hepta (7)hydrate. And EVERYYHING in it is an essential plant nutrient. Epsom Salt is magnesium sulphate, MgSO4. It contains no sodium, only magnesium, sulfur, and oxygen. It is usually combined with water to form a heptahydrate. It won't add sodium to the plants or your diet. Just a thought for you: Click on Kellene's link to the Foundation website and look at the Canned Garden Seeds. There are 22 varieties of the best heirloom (open pollinated) seeds to be found anywhere. And using the simple Mittleider system of growing these seeds will grow anywhere in the USA - and most other countries as well. And by the way, for almost 30,000 seeds you pay less than $60. They are triple sealed and will last for 20 years if stored properly. You've thoroughly peaked my interest, but when I go to the site to buy the "Mittleider Gardening Book," I find no such title. There are many different titles, and I can't figure out which one is needed. It's entitled "Mittleider Gardening Course". But there are some abbreviated ones there as well as some free downloads. As per the article, this will be my 3rd summer. If you live in a short growing season, all the more important that you nurture your plants so that they will grow faster. *wink* If you put in "mittleider gardening" on the images section of a web search, you'll see all kinds of great pics! This year I'm going to be using my restricted space to grow the Glass Gem Corn exclusively so that I can save and sell those seeds. I want a much bigger garden but since we plan on moving after this summer, I'm not going to go all out only to leave it. Use hoop houses over your boxes to extend your growing season. Thanks for telling of this. I have been happy with my SFG the last few years but would like to give this a try. It says on their website that "Do you live outside of Utah and Idaho (the pre-packaged Weekly Feed and Pre-Plant mixes are available in stores there)" but I haven't seen it. Do you happen to know what stores in UT carry the Mittleider Magic nutrients or pre-packaged weekly feed mix? Thanks again. The IFA stores have carried it and that's where I've bought them in the past. However, this year, I bought JUST the micronutrients from Food For Everyone. It's pre-mixed with the 16/16/16 and epsom salts at the IFA stores. Thanks for sharing. This is the first time I have ever heard of the Mittleider Method. I usually use cinder blocks for a frame on my garden. I stack them two blocks high. Wooden frames rot in time and attract termites. Cinder blocks are very functional. You can move your garden to a different location by just moving the cinder blocks. I have been reading some articles on genetically modified wheat written by Doctor Mercola. Genetically modified wheat, oats, beans, and grains is a really scary thing. This type of food can turn on and turn off various genes in our own body. By the way, you are the best writer in the world. You really know how to communicate. Also, you may not be aware, but making statements to yourself such as "I can't" or "I can't afford it" and of course "I'm broke" are actually debilitating. It literally prevents your brain from solving the problem and coming up with a solution. I'd suggest that ANY and EVERY prepper eliminate such phrases from their vocabulary as it does no good to the one sharing such negative tidings or the listener. I think that unless you are keenly familiar with the fundamentals of the Mittleider gardening method, it's difficult to compare it to others. I love the fundamentals that CAN be applied to other gardening methods, but in speaking with a LOT of skilled gardeners who finally went the Mittleider method--all the way, not exceptions--the stories are all the same--nothing but fabulous results with minimal resources. Dena, it's GORGEOUS...the kernels look just like beads of glass. You've GOT to search for "glass gem corn" images on the internet. Here's one link that I like. Here. It's got about a 100 day season, but with the Mittleider method, it will be faster. Don't forget the Mittleider Method Gardening Yahoo group! 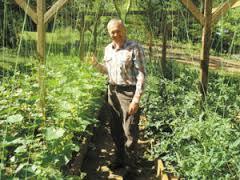 I joined that a few years ago and Jim very patiently taught me how to prune my tomatoes for a better crop! Maybe I just can't find the right link, but the Free Downloadable eBook is only $14.95 in my cart. Can you post the direct link to the 5 hour course that you referenced? I had the opportunity to spend the 5 hours with them locally as they were traveling and providing their class, hands on. 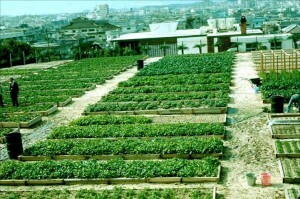 Variations on Intensive Gardening are well proven, whether one specific system or another is followed specifically, there are many that work very well. I started intensive veggy gardens with the old Crocketts Victory Garden book back when that PBS show actually talked about backyard food gardens. (still my favorite gardening book), and use that method in grow boxes along with hydroponics in my greenhouse (which far outproduces the other garden). If one key thing should be taken from you very good article, is that to produce food, you need to feed the garden and garden with thought. Thank you Kellene! Ooohh! Thank you! I love that rareseeds.com site. Every year I grow new varieties I've never tried before and now I've found a ton of new varieties and plants I've never even heard of. And varieties that hopefully will grow at my elevation with a shorter growing season. Also looking into the Mittleider method since even though I've mostly gotten good results with the garden over the past 6 years, I know that it can be a lot better. Exciting! (yes I totally have the spring gardening bug right now.) Also for my first year with a cold frame, I planted seeds (cold tolerant) in a cold frame nearly a month ago and they are happily growing (slowly but surely) , in Colorado, despite some very low temperatures (8-0). What's better....the fire box or the volcano stove? I hate to burst y'alls bubbles, but this gardening method is not sustainable and I would be embarrassed to use it and call myself a "prepper." It's labor intensive, requires artificial irrigation, "magic" formulas, chemical fertilizers, raised beds, etc. There's nothing natural about it. If you have to buy some kind of special micro-nutrient formula, mix it with fertilizer, it's not sustainable. You're doing your readers a disservice by promoting it. I generally like your website, but about a 1/4th of the way down the page, it was obvious this was merely a sales pitch. Normally, I wouldn't permit such a rude and uninformed post to publish, but in the event that there are others out there who are little less rude but who may have genuine misunderstandings about the Mittleider method I'll permit your nonsense accusations of the method to publish and address them. 1) "not sustainable"--In spite of all kinds of things that Jacob Mittleider could have done with his method, he insisted on keeping his program SO SIMPLE and SO ACCESSIBLE to everyone. This also means that it's has to be duplicated in every set of circumstances in the world. The only acquisition that would be necessary to utilize this method every year, even in the same plot of land, would be the micronutrients; and since they have a shelf-life significantly longer than anyone will ever live and they are most certainly affordable, it is indeed a sustainable method. 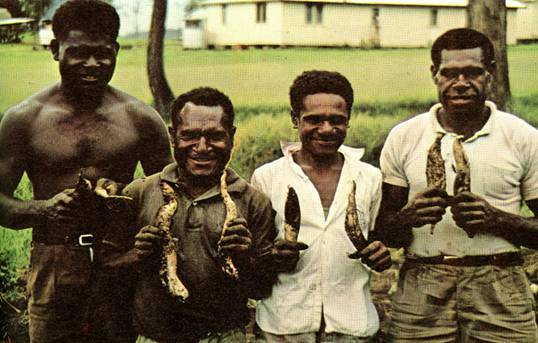 In spite of the fact that the harvesting of these micronutrients may be arduous, the cost for these is still minimal. In fact, I can expect to have a perfect garden for a decade with sufficient micronutrients with as little as $100--depending on the size of the garden. $100 for ten years? Tell me ANY other method that you can get that cheaply for so long?? 2)"labor intensive"--Considering that I struggle with chronic pain due to fibromyalgia et al AND am one of the laziest preppers a person will ever meet, I consider myself an authority on whether or not this method is labor intensive. You're simply not being truthful to call it that. There's set up work, sure, just like any garden; but that set up work is specifically designed so that there's little maintenance, including dealing with weeds and insects. Sure, one can certainly go as elaborate as they'd like, but as I clearly addressed in the so-called "sales pitch" of an article, this method has been tried and true in 3rd world countries all over the world. 3) "artificial irrigation" I may not be a gardening expert, but I'm certain that all plants need water to live. I've not seen any home gardens lately that can rely solely on the rainfall; though some will just rely on the sprinkler system in their yard. A person CAN just take a hose to their garden all willy nilly, but it's SO MUCH easier (you know--EASY--that ANTI-labor intrusive word) on your plants (and your back) if you set up a water system that waters just at the base of the plants. This will not only cut down on the disease, but it also dramatically cuts down on the amount of water needed because you're putting it EXACTLY where it's needed. Leaves are for photosynthesis, not for watering. I have ours set up like that this year and can't believe that I wasn't smart enough to have done it the past two years. It's SO much easier and I can set a time on the hose for the water supply so I don't have to get up early just to water. 60 seconds of watering first thing in the morning is all that one needs. (Though a late afternoon water might be a good idea on days when it's particularly hot.) 4) "magic formulas"- I didn't realize that nitrogen, potassium and phospherous were magical. In fact, it isn't. They've long been used for successful gardening. Nitrogen helps plant foliage to grow strong. Phosphorous helps roots and flowers grow and develop. Potassium (Potash) is important for overall plant health. Then of course you have the epsom salts which successful gardeners have used for decades to help with the soil nutrients which have long been stripped away. Magnesium hasnt' been found in correct ratios in our U.S. soil as early as 1984. And if it's not in the soil, it's not in your food which means there will be other deficiencies since the magnesium is important of the absorption of other key nutrients. 5)"chemical fertilizers"-- There's NOTHING "chemical" about the methods used in the Mittleider method. Jacob Mittleider was adamantly opposed to such uses. Let me give you just a basic overview of how nature works. Even if we still had the proper nutrients in our soil, rains come, wash the nutrients out, which then ends up in the rivers and creeks, which then ends up in the ocean. The micronutrients are harvested from the bottom of the ocean and returned to their original "home"--the soil. There's absolutely nothing "chemical" about these nutrients. In fact, this method is more "organic" that the so-called "USDA certified organic". Furthermore, as noted in the article the use of any other "helpers" other than the micronutrients, 16-16-16 (NPK), and epsom salts there's NOTHING else needed outside of what Mother Nature provides in the form of sun and warmth. 16-16-16 is NOT a chemical fertilizer. There's nothing synthetic or chemical about it which is why it's used by Master Organic Gardeners. 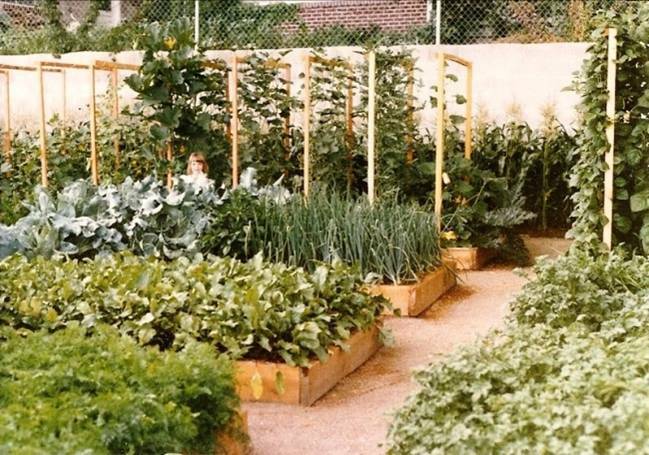 6) "raised beds"--while there are many gardeners who like the aesthetics of raised beds, it's most certainly NOT necessary--as I stated several different ways in the article. This method words in ANY soil and any environment so long as Mother Nature provides suitable sun each day and a water source. There's absolutely NOTHING in the Mittleider method that requires raised beds. In fact, while I do have two raised beds in my garden, my desire to expand them, combined with my husband's lack of time to make me another raised bed, has led me to just plant a third section into the ground, just like normal folks do. 7)"sales pitch": So let me see, what am I guilty of pitching--was it the instructions on how to do the Mittleider method that one can get for FREE? Or is it the ridiculously inexpensive nutrients recommended because all of the nutrients necessary to garden today have been stripped from the soil? Or perhaps you felt it was a sales pitch when we mentioned the money that's spent out of Mr. Kinnards own pocket to go and teach FREE seminars all over the world? Yeah, I think you've heard a sales pitch, all right, but it's the one you bought into BEFORE you responded to this article and it likely has nothing to do with gardening, and perhaps more about trying to discredit others in the world who are trying to do good. In conclusion, because each of your assertions are SO far south of WRONG, it's apparent to me that you may have a reading disability or at the very least, a disability in your reading comprehension skills. As such, I'd recommend that you take a look at our many articles written on here regarding the Principle of "Medical Preparedness" as you might find some healthy, all-natural methods that might help you be able to focus and also better handle your emotions. While I appreciate one's passion exhibited on behalf of a cause, I believe that instead of issuing a war cry in opposition to a widely lauded method of gardening that's been proven time and time again in the face of skeptics and by highly educated experts on this matter of gardening that has literally changed the economies of households and entire nations, you might use that passion of yours for good by directing it towards those persons who would threaten our ability to garden on our own property. That would actually do some good in the world. I suspect that you're actually NOT a fan of our website, but more likely just a troll. But being able to address these issues you brought up will end up being helpful to others who may have legitimate concerns about the method, so for that, I thank you and hope that you'll find yourself with all of the good that you assuredly deserve. I don't usually comment but I couldn't resist after your response. I have been tossing back and forth trying to decide what method to use in my first garden and some of my questions were actually answered in this response. But after reading it, I really just wanted to jump up and say Yeah! you tell 'em. That was an excellent comback. Thank you! Ms Bishop, First I want to thank you for the wonderful article you posted about the Mittleider method of gardening. I ran across this method from a prepper on youtube who had tried various methods including SQF and "Back to Eden" and decided to move to Mittleider and had posted his progress over the last few months. I also read, with keen interest, the comments from some of the more strong opinioned readers and the responses to their comments. I must say that, I too, was a little skeptical about the Mittleider method at first. I am a fan of Masanobu Fukuoka and the "One Straw Revolution", Esther Deans and her No Dig Garden, The Back to Eden method, the Lasagna Garden and Ruth Stout's "No Work Garden". Being an older young person, I was leaning to the "No Work" idea. The interesting thing, while doing my research, is that all the methods work. The author's of their various methods have proved they work. However, as the title of this article says "The BEST gardening method for Maximum Results! ", Mr. Mittleider designed a method that provides maximum production for minimal effort...this to try to help overcome world hunger. And it works. I've discovered the term "organic" is relative; the idea being to produce food that tastes good and is good for your health. All the methods I mentioned do this including Mr. Mittleider's method. My feeling, with the direction the world is going, is that the casual garden, which I have done using SQF and grow buckets, needs to be replaced with a more robust system providing maximum output and qualtiy food. We will need to put more reliance on ourselves. Anyway, thank you again, for the article and the service you provide. Dear Kellene Bishop. Your comment about disability and comprehensins skils wery much talk about your emotions, not others. The only reason you let Paul's post on your web is that you could again make your sales pitch. Magic Mix has the trace elements that are very hard to find, and when they are found can only be purchased in large quantities. Foodforeveryone has small bags with all of it mixed in the correct proportions. So, it is for eweryone, if eweryone is BUYING fom their company. For other words like "organic" and "sustainable" I won't comment becouse everyone can figure out that by himself what the right word for buying NPK from chemical company of buying Magic-mix from company is. I belive that there is biger production of food, better taste, les work,... but this is only production side. At the end I'm apologize for my spelling and grammar as not eweryone are from english speaking country. As this is a site about self-sufficiency, I'm not going to do any more to direct you to the FREE information other than to mention once again that you can most certainly get the key "how to" info FREE by going to FoodForEveryone.org. Go there, download the chapters for FREE. I'm not sure how much clearer I could be than to say that. Instead of being an antagonist, how about you hush up and go get your FREE information? Last I checked, getting something for FREE is when you don't have to pay to receive it. FoodForEveryone.org has certainly made that possible. To further expound, if persons were interested in purchasing triple-hermetically sealed heirloom seeds (more than 31,000 of them) at significantly less than their normal retail value, they too would have received two of the Mittleider gardening books FREE, plus the Mittleider micro-nutrients FREE, as well as the DVD/CD combination which gives visual and audio instructions--also FREE. Again, I believe that reading comprehension disabilities abound nowadays--especially when folks are more intent in contention instead of learning. As to your ignorance of the standards of "organic" gardening, I'll direct you to the USDA's site which provides the outline of what can and cannot be used in an Organic farm, because it's apparent that you have no idea what NPK is, where it comes from, and how it's necessary for quality organic farming even. Furthermore, there is a huge difference between synthetics and those chemicals, minerals, and nutrients which exist NATURALLY and can be harvested naturally. Whether they come from the bottom of the ocean or they come from rocks that are finely crushed--that's called NATURAL. This is not only common sense, but it's also how the USDA sees it when they grant "Organic" status to a food or drink. As I've shared in this set of articles repeatedly, the nutrients which are used in the Mittleider method are indeed natural, not synthetics, and even more importantly they are absorbable by the plants, and in fact, if you understood the scope of ingredients that are permissible in so-called organic farming, you'd know that the Mittleider method is actually more true to the organic spirit than the official organic farming which allows more than 20 known synthetics used and yet still receives that oh-so mocking of an "organic" designation by the USDA. I'll tell you what I'll do for you in the future--you who wishes to remain anonymous so that you don't have to be accountable and stand up for who you are and what you're trying to do--I'll write a few articles in the future about products or services in which I've done no research on, wouldn't dare spend my own money on, and wouldn't be caught dead bringing into my own home, trying, and relying on it. Seems like that's what would make you happy because it seems that any time I do the research to the point that and am willing to put my own money into the fray and risk the well-being of my own family by relying on it, and I then share it enthusiastically with my readers--there are always the devil's antagonists dressed in robes of anonymous cowardice, like yourself, that just chalk it up to being a "sales pitch." Just wondered if you would like some pictures of my garden using the Mittleider methods. my first experience many years ago was the boxes on the ground, which worked very well, then years later in a high mountain desert area I tried it again using the boxes on the ground. Unfortunately after a couple of years, my stirring method in the spring dug up the underlying native grass which destroyed my garden. Then next year I obtained 6 4' diameter X 3' high concrete rounds, used in manhole entrances for storm drains. These were seconds from a local concrete pipe company and were obtained at no cost, except for delivery. I install a water focet in each round then filled partially with dirt, covered with landscaping material and then filled the rest of the way with the standard Mittleider growth media. This worked great and so I added 4 more 6' diameter rounds the next year. No weeds and no bending over to water. My wife also made bonnets out of netting to keep the insects from the herbs, lettuce, chard and cabbage. Of course for those plants that need pollination that doesn't work. I have pictures, but don't know how to send them. The only thing I found free on that site was an introduction (which had very little usable information) and the "Downloadable Updates Since First Printing" which appears to be free but since their security certificate has expired I hesitate to complete the checkout process. If you could provide a direct link that would be appreciated. I currently use grow boxes, grass and leaves as a weed barrier and drip watering. I use hoop houses to extend my growing season. I think you may be referring to an older sale that we did last year re: the seeds and then all the free books and such, but there are also free downloads available on Mittleider's site. "there are several schools of thought about sealed seeds vs. unsealed vs. frozen. I'm of the unsealed camp, but I respect the opinions of others to store their seeds as they see fit." I'm realizing that the post is exactly a year old...my bad! I was soo excited for that deal! Any chance you know of any other combo deals? Thanks for your time and thoughts. I left a comment last night, but I'm not sure I posted it right. Sorry if this is a duplicate! I was wondering how you buy the seeds and get the two books and CD's for free? I didn't notice anything on the site that mentioned that. I LOVE the idea of this method as we have looked seriously into doing SFG and this seems to be just a step above that! Thanks for introducing this. My other question is, do you recommend getting the canned seeds? I know you reference where you get your seeds but since we don't have the Mittleider book I thought the seed package would be great (pending it's still available?). However, it seems like you aren't pro-sealed seeds, am I getting my info right? Thanks for all your advice and sharing in your learning. Can't wait for your book to come out...! We have been using the Mittleider method for several years now and have shared this method with members of our church. Because many of them travel to UTAH, do you know of a nursery that sells the micronutrients? We sometimes find families who are would use the premix but not willing to order the micronutrients. They fail to fertilize and then wonder why their gardens aren't flourishing! We are also traveling to Utah and thought we would pick up a case of micronutrients to bring back to Arizona, thus making it easier for others to purchase. Thank you for your wonderful and informative website! Yes, the nursery in Lindon carried them. However, you can order them directly from Mittleider too. They send them via priority mail so it's affordable. Loved the article , i always built up my soil with good stuff so that my soil would work for me but it cost alot of money. Heard about the mittleider system and being the gardening lover that i am purchased the course book just to read about different gardening methods . I love everything about the course and it works exactly like it says it does if one follows the easy directions . The only problems people have with this method is they substitute this for that and so on , and wonder why there garden isnt producing like it should . Just do exactly like the instructions say nothing more or less and you will have the best garden you have ever had its that easy .There are enough videos on the net that you could mix all your own weekly feed and preplant , as well as the micro-nutrients without buying anything from the foundation or anywhere else . You can purchase everything locally so there is no sales pitch with this method , its just more convienant to buy the microntrients already mixed but you can mix your own. Just try it and you will love the results . After the initial set up there is soo little upkeep to do that even people with chronic pain can get outside , go play in there garden and have the garden of there dreams .